John Smith T practices in the firm's Litigation, Product Liability, Employment, Financial Services, and Intellectual Property practice groups. He has handled a wide range of litigation matters representing clients in commercial disputes, personal injury and products liability cases, intellectual property matters, employment discrimination, and real estate cases. John tried cases in various state and federal courts, including in Alabama , Florida and Texas. 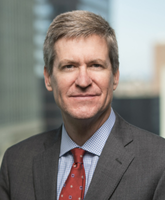 Since his admittance to the United States Patent Bar in 1996, John has devoted a portion of his practice to the intellectual property area, including patent and trademark prosecution and intellectual property litigation. John has helped obtain patents and trademarks for clients in the transportation and shipping industry, the sporting goods industry, and industrial engineering field. He has handled litigation matters involving claims of patent infringement, trademark infringement, violation of trade secrets, and licensing disputes. In addition, he has negotiated, drafted, and advised clients on licensing, assignment, and nondisclosure agreements.